Ebony Carr was awarded the Athlete of the Year trophy and the club were honoured to have 2012 Olympic long jump champion Greg Rutherford to present the awards. Ebony won a bronze medal at the World Junior track and field Championships held in Finland. She ran the anchor leg for the 4 x100m relay team that were 2nd in their heat(44.83) and then clocked a fast 44.05 in the final. The club’s Voluntary Groundsman for the last five years, Kelvin Smith, was awarded the Club Person trophy. For their inspired coaching, Leone Kahembe and Jack Kee were awarded respectively the Development and Performance Coaching trophies. Richard Pownall was the Club Official of the Year. In the field of competition Lara Bromilow took the Women’s Winter award and Kayleigh Presswell the Summer award. 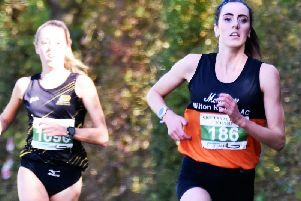 The Chiltern Cross-country award went to Elle Roche whilst on the roads, Sheila Rose was Ultra Runner of the Year and Rachel Robinson leading overall road runner. Steve Tuttle was awarded the Swain Winter Trophy for the outstanding male athlete and Greg Rutherford the Swain Summer Trophy. Jamie Seddon was top road runner and Graham Jones won the male Chiltern League trophy. Leading indoor exponents were Sam Featherstone and Moyin Oduyemi. For their hard work in the Southern Athletics League Natalie Nurse won the female award and Dickson Kusi the male award. 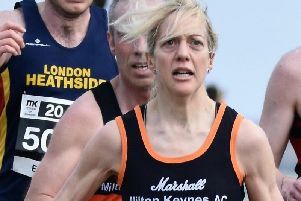 Emma Beardmore won the UK Women’s league Trophy. Most improved athletes were Ayesha Jones for her outstanding throwing in the u13 girls javelin and Tom Cuthertson who has vastly improved on both track and road.